‘Tis the season for awards shows. With the year drawing to a close, everyone from the guilds to the Hollywood Foreign Press Association are lining up to celebrate the year in film and television, and as always, the Golden Globes are set to deliver another stunning array of famous faces and left-field nominees. What will be this year’s “Veep”? (The heralded HBO comedy was surprisingly shut out of last year’s awards.) 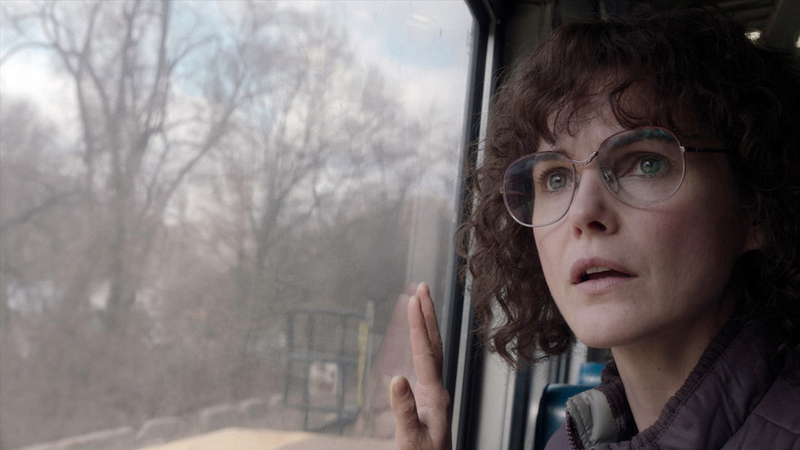 Will “The Americans” mount a comeback after being snubbed in its penultimate season? What critical favorites will be turned away for more mainstream fair, and which under-the-radar actors might wake up to a pleasant surprise? Below, IndieWire has made their predictions for what shows and performers will be attending the 2019 ceremony. The 76th Annual Golden Globe nominees will be announced on Thursday, December 6 at 8 a.m. ET. Read IndieWire’s TV predictions below, make sure to check out the film predictions, as well, and don’t forget to come back to IndieWire Thursday morning for your post-nominations analysis. Can “The Marvelous Mrs. Maisel” spellbind the Globes voters again? With great early reviews, Season 2 looks like a strong competitor, even in a competitive comedy category. “Barry” is the new hit contender and should get a good boost with HBO’s backing. 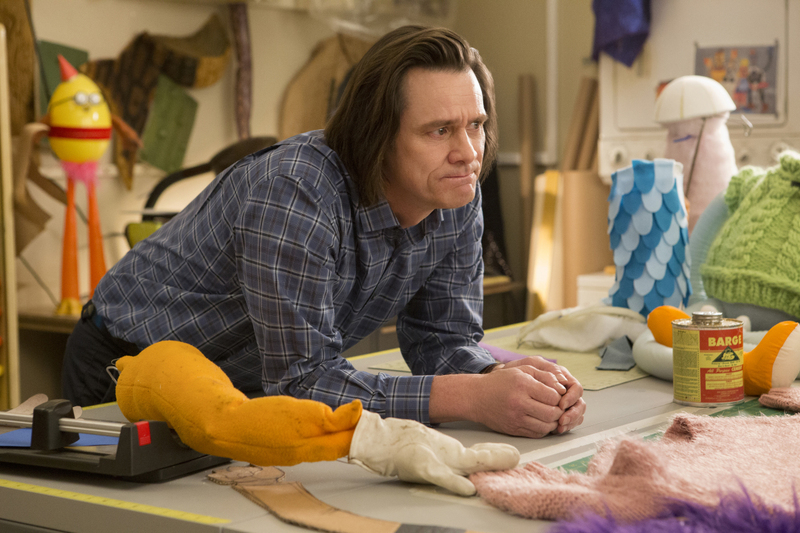 “Kidding” could benefit from Jim Carrey’s star power and Michel Gondry’s innovative take, though it wasn’t exactly a ratings bonanza for Showtime. “The Good Place” is looking to be the rare series to break into the Globes in its third season, while “Atlanta” will try to make up for its Emmys loss with a strong showing in January. So what’s on the edge? “GLOW” only snagged a nod for Alison Brie in its first season, but another remarkable year could’ve earned more fans. “Forever” and “The Kominsky Method” had less of a critical and commercial impact, but still earned enough notoriety to rank as competitors. Meanwhile, “Black-ish,” “Murphy Brown,” and “The Conners” hope to surprise a few folks and earn some extra publicity for themselves. Titans clash in the always heated limited series race, as big shows from HBO, Netflix, and FX are fighting for the HFPA’s favor. First up is “Sharp Objects”: This is the summer sensation’s first chance to compete for a major award, and Marti Noxon’s mystery needs a good showing at the Globes to start building momentum for the guilds and Emmys. The same can be said for “Maniac.” The Emma Stone/Jonah Hill-starrer has the famous faces the HFPA loves, but it could come down to whether or not they felt as passionate as the fanatical critics or as duped as the confused ones. Finally, Ryan Murphy’s “The Assassination of Gianni Versace” hopes to follow up a grand showing at the Emmys with even more gold in 2019. 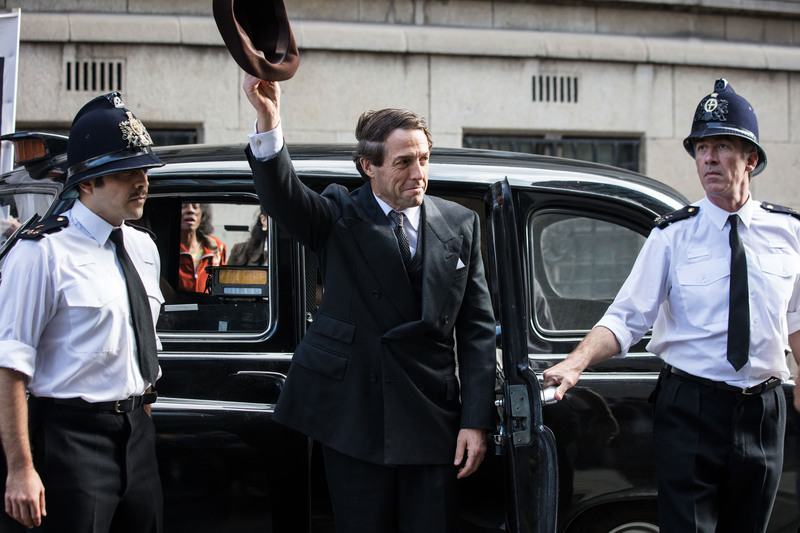 That leaves Showtime’s “Escape at Dannemora,” Amazon’s “A Very English Scandal,” and “The Romanoffs” fighting for the final two spots — not to mention “Patrick Melrose” and AMC’s “The Little Drummer Girl.” Plus, you know, there are TV movies worth honoring. Well, at least one: “The Tale” deserves to among the final five, without a doubt. The Globes aren’t typically as wild with their Best Actor picks as they are elsewhere, but they are the same folks who nominated Wagner Moura for “Narcos” and James Spader for “The Blacklist,” so anything is possible. 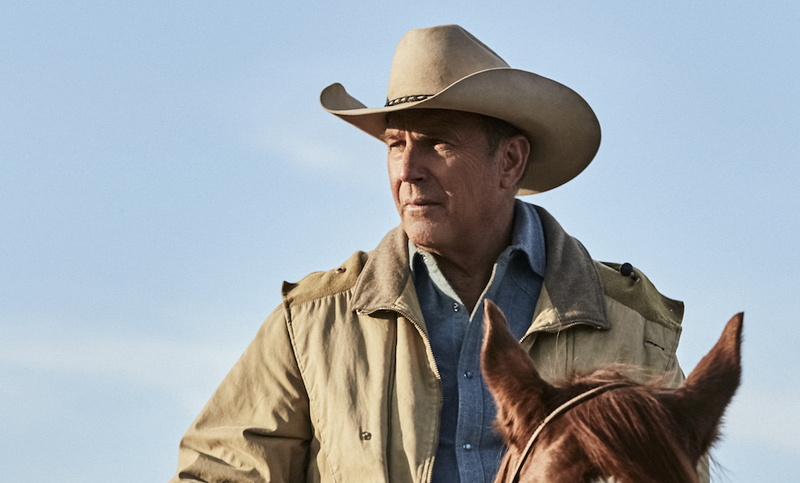 With that in mind, expect to see Kevin Costner’s name read Thursday morning, due to his good-standing with the Globes (five nominations, two wins) and “Yellowstone’s” persistent popularity. Otherwise, awards favorites should feel comfortable, including Matthew Rhys (“The Americans”), Sterling K. Brown (“This Is Us”), and Milo Ventimiglia (also “This Is Us”). That leaves one spot and a slew of possibilities. Can Amazon (and the popularity of “The Quiet Place”) force John Krasinski into the fray? What about Jason Bateman making a return trip to the Beverly Hilton for “Ozark”? Or will Stephan James be boosted by “If Beale Street Could Talk” and snag a few nods for “Homecoming”? Right now, it seems like there’s good heat behind the always charming and crazy talented J.K. Simmons, so here’s hoping “Counterpart” snags some much-needed attention. Elisabeth Moss didn’t have the same problem with the Globes as she did with the Emmys: She’d won prior to her turn in “The Handmaid’s Tale,” even though it was for “Top of the Lake” and not “Mad Men.” In fact, she was only nominated for her breakout AMC role once — as opposed to the six nominations given to her by the TV Academy — so she’s not exactly an HFPA favorite. Still, despite losing the Emmy this year, a nomination seems sound. 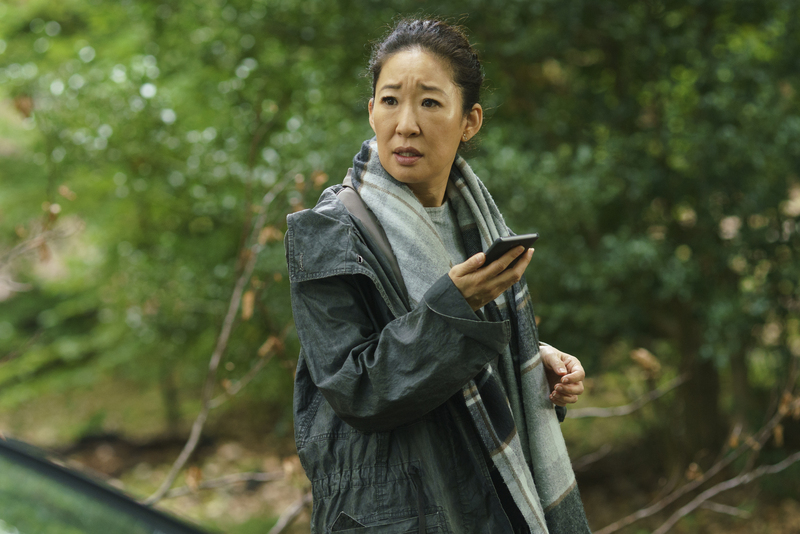 Keri Russell should be a sure-thing as well, for her work alone, and Sandra Oh should be another Emmy nominee who snags a Globes nod, too. Though she earned a Globes nod for Season 1 and an Emmy slot for Season 2, Evan Rachel Wood is on a bit shakier ground. Julia Roberts (“Homecoming”), Jodie Comer (“Killing Eve”), Jodie Whittaker (“Doctor Who”), and Robin Wright (“House of Cards”) are all buzzy picks. And wild cards like MJ Rodriguez (“Pose”) and Maggie Gyllenhaal (“The Deuce”) could shake things up, too. 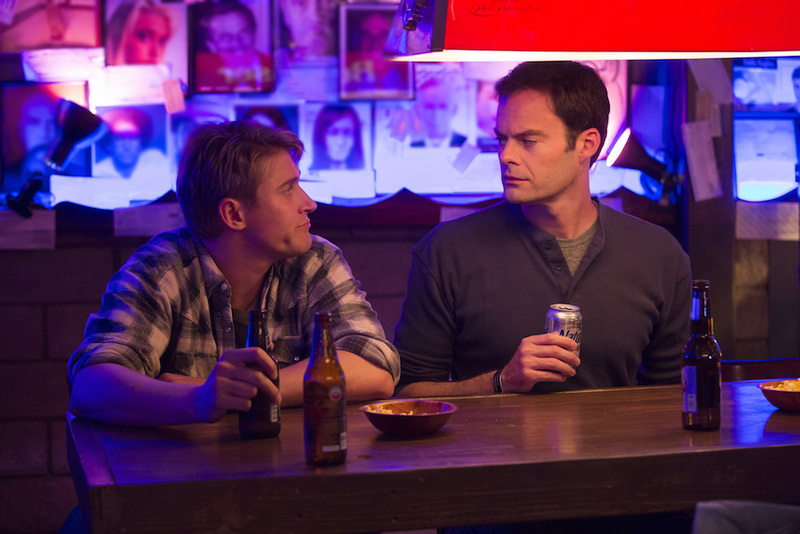 Bill Hader has been racking up honors when it comes to “Barry,” and we’re not just talking about IndieWire Honors. He won the Emmy, too, despite stiff competition from Donald Glover and Ted Danson, and snagged a TCA nomination, as well. A Globes nod feels like a safe bet, likely creating a rematch with the “Atlanta” and “Good Place” stars in the process. Still, there are newcomers who could serve as disrupters. Michael Douglas is Michael Douglas, and Jim Carrey is Jim Carrey. Both have won multiple trophies from the HFPA, and both are back with prestige, pretty well-reviewed new series (“The Kominsky Method” and “Kidding,” respectively). There’s also Tracy Morgan (“The Last O.G.”), Sacha Baron Cohen (“Who Is America?”), and Fred Armisen (“Forever”), but they’ll have to compete against recent nominees like Anthony Anderson (“Black-ish”), William H. Macy (“Shameless”), and Eric McCormack (“Will & Grace”). We’re betting the Globes will favor new blood, like usual, but how the final five shake out is pretty up in the air.